This park is situated between New Cross and New Cross Gate stations, in London. The concept of this park was to create a play park with active zones and also to improve legibility and interest for park users and commuters. 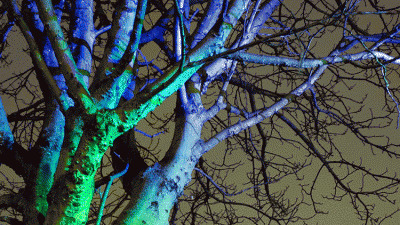 The illumination of the park was done by Light Bureau, an independent lighting design consultancy based in London. 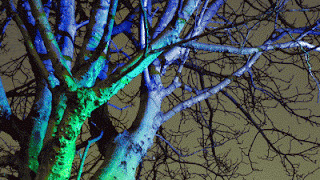 the illumination provided to the park an use after dark. To improve legibility and orientation on pathway lighting, illuminated colour coded lantern markers were designed, each primary route identified with a primary colour of red, blue or green. Well, I have not been in the park, and neither had a chance to have a look at the entire project. I liked the picture though.